A wardrobe classic becomes ultra feminine thanks to the craftsmanship and Oriental mastery of the 2 Moncler 1952 line, collection n°2 of the Moncler Genius project. 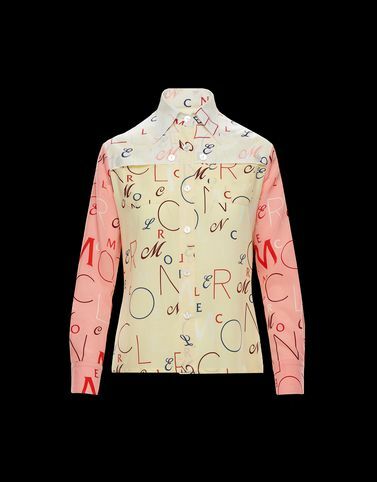 A soft silk shirt enriched with colour and given movement through the allover lettering print. A original piece that stands out for its elegance and sophistication.